Your Dirty 30 is your core group of people. Likely you enjoy spending time with each individual one- on-one. Yet it’s also important for them to mingle. To show your appreciation, consider hosting a party, open house or dinner. As the host, make sure everyone is having a good time and express interest in each person. Remember that this event is a relationship-builder. You’re creating win-win relationships and, most of all, expressing gratitude toward everyone in the room. She enjoyed watching referral partners and clients meet each other. “There was some interesting synergy even between my clients and some of my referral partners,” she said. A client living in the Desert Mountain community met the architect who designed several homes there. The client had heard legends about this architect from friends and finally got the chance to meet him. This experience added a personal touch for the client and the architect. The party’s atmosphere was relaxed and fun. Guests mingled over cocktails, then enjoyed a high-end meal. They gathered around one large table in a private dining room. “There was a lot of laughing going on and sharing of stories,” she said. Tanya honored her #1 referral partner, the founder of Design Barbarians Architects. 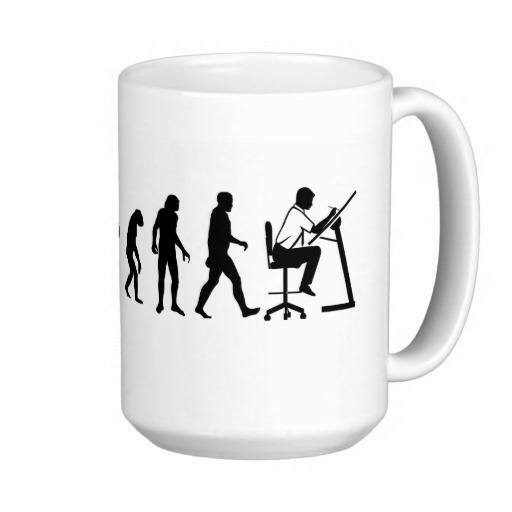 She gifted him with monogrammed stationery and a coffee mug that shows a playful silhouette progression of an ape developing into a human into an architect. After you host an event like Tanya’s, continue sharing the love. Tanya posted photos of the event on Facebook. Guests immediately commented on the photos and replied with thank you emails. Hosting a party for your Dirty 30 is a fun way to show them you care. It offers a welcoming atmosphere for people to get to know each other personally and professionally.